The Colorado Columbine is Colorado’s state flower. This flower blooms from June through August and the color can vary from a range of blue to purple. 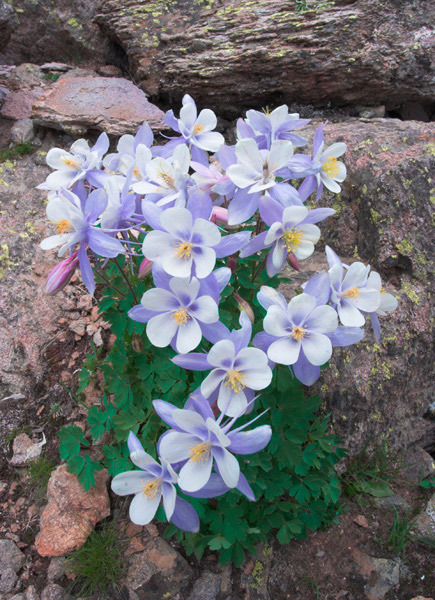 This photo of a columbine bouquet was taken near Ouray. I like to photograph wildflowers on overcast days, because the diffused light reveals fine detail and saturates the color. Photo © copyright by Mike Barton.